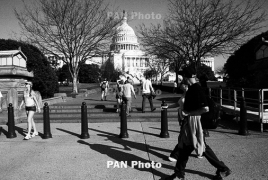 According to early election results, a dominating majority of the Armenian National Committee of America (ANCA) endorsed candidates in the Western Region won election to the U.S. Senate and House as well as state level offices Tuesday, November 6, capping off months of sustained effort registering voters, signing up volunteers, organizing communities, and raising funds for supportive candidates from both parties and around the country. As reported earlier, roughly 92% of the 180 formally backed by the pro-Armenian advocacy organization won election to the U.S. Congress. In California, longtime supporter of the Armenian community Gavin Newsom (D) was elected as governor while California Senator and former Senate Pro-Tem Kevin de León (D) came up short in a close race for the U.S. Senate against incumbent Dianne Feinstein (D). For California’s other executive offices, Eleni Kounalakis (D) was elected as Lt. Governor, Alex Padilla as Secretary of State (D), Betty Yee (D) as State Controller, Fiona Ma (D) as State Treasurer and Ricardo Lara (D) as Insurance Commissioner. All were endorsed by the ANCA-WR and have cultivated close relationships with the Armenian American community. Meanwhile, Congressman Adam Schiff (D-CA), a longtime champion of all aspects of the Armenian Cause, took a commanding victory over challenger Johnny Nalbandian with over 76% of the votes. By securing his spot, Congressman Schiff is poised to become the next chairman of the House Intelligence Committee, one of the most powerful positions in Congressional leadership.